Opening hours: From Monday to Saturday the shops are open from 9 a.m or 10 a.m to 8 p.m or 10 p.m. Shops and boutiques located away from the city centre may close earlier. 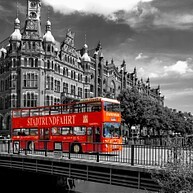 Explore the very best of Hamburg with the day ticket of the Red Double Decker buses on Line A. At one of the 28 stops Hop on and hop off wherever you want in order to have a closer look at the magnificent sights of this amazing maritime metropolis. Extra tours like the twillight tour or the elbe riverside tour are possible as well and show even the locals new aspects of Hamburg! 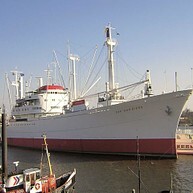 The largest seaworthy museum cargo ship in the world! Experience and discover 160 metres of shipping history and embark on a long voyage with the English booklet. Stop for a break in the “Bord-Bistro” and stay the night on, instead of, by the Elbe river in one of our passenger cabins. During the diversity of evening events you may also meet the ship’s kobold … or even set sail with us! English booklet available. 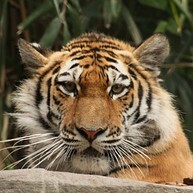 Discover Hamburg`s zoo Hagenbeck! In a park of 19 hectares you can find more than 1850 animals from all over the world including Germany’s only walrus family. Guests experience is an expedition around the equator at the Tropical World Adventure Aquarium, where you can find more than 14.300 animals in 300 species. Experiencing the sea: The Maritime Museum presents 3,000 years of history of seafaring displaying precious artefacts from all over the world. Welcome aboard! Wind, waves, explorers, and pirates. More than 40,000 miniature model ships, a treasure chamber with model ships made of gold, silver and amber, the Queen Mary 2 made of 1 Million LEGO bricks, and professional ship simulator. The flagship Casino Esplanade is not just a grand building, inside it offers an attractive spectrum of gambling options such as casino automats, roulette, poker and Black Jack. 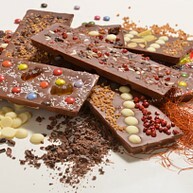 Open daily from noon till 4 a.m. We also recommend the restaurant Tarantella located on the first floor of the casino. The Elbphilharmonie is the new landmark of the metropolis on the waterfront. With the Elbphilharmonie Hamburg forges its path as a port city and a city of music, once again demonstrating that the city is shaping its future based on contrast. 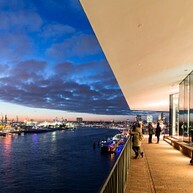 Located in the HafenCity Hamburg district the Elbphilharmonie Hamburg is emerging as a new magnet for locals and guests alike. The spectacular building comprises three concert halls with a diverse music programme, a comprehensive music education programme, a hotel, as well as the Plaza – a public viewing platform at a height of 37 metres that offers visitors an amazing view of the city. The Plaza is the central meeting place in the Elbphilharmonie and forms the link between the warehouse and the new structure. The viewing platform here is open to the public. Even getting to it is an experience: an 80-metre-long, slightly curved escalator transports visitors through the building. From the Plaza, 37 metres above the ground, a stunning panoramic view over the city and port opens up before the viewer. An outside walkway leads around the entire building. 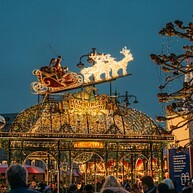 Discover the faces of Christmas in Hamburg from November 26 till the beginning of January. Every year at advent, the numerous enchanting and often unusual Christmas markets stretch out across Hamburg´s city centre- which makes buying presents a real experience. In no other city you can find so many Christmas markets close to each other and Hamburg turns into a real Christmas fairytale. Each of Hamburg´s Christmas markets whether historical, traditional or maritime in style has a charm all of its own and create magical atmosphere. Baked apples, cinnamon stars and mulled wine give visitors a taste of Christmas in Germany. In Hamburg everyone can find what they are looking for. Some highlights of this special atmosphere are the flying Santa at the town hall market, the Hamburg Christmas parade as well as Germany´s only 18+ Christmas Market Santa Pauli on the Hamburg´s red –light district Reeperbahn. Unusually lavish for Hanseatic taste: built in 1886–1897, with its impressive architecture the splendid sandstone edifice in Neo-Renaissance style dominates the city centre. Hamburg town hall is the seat of the city’s Senate (state government) and Bürgerschaft (parliament), and, with 647 rooms, it has more rooms than Buckingham Palace. The town hall can only be viewed on guided tours. 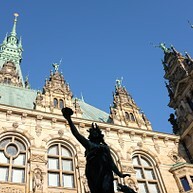 Also worth seeing is the fountain of Hamburg’s patron goddess Harmonia in the town hall’s courtyard. 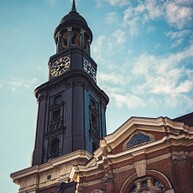 Hamburg's famous 'Michel' church is not only the most important baroque church in northern Germany; it could also be seen as one of the world's tallest lighthouses as it has served as an important landmark for boats travelling on the river Elbe. 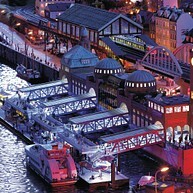 The 106m high viewing platform offers wonderful panoramic views of Hamburg and the harbour – especially at night. The 160-hectare lake right in the city centre, which is surrounded by cafés, parks and walks, is a perfect for renting a canoe, a pedal, rowing boats or a sailboat. There are sculptures both on land and in the lake. There are also an abundance of oak and chestnut trees for nature lovers. 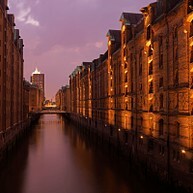 Over a century old, the Speicherstadt in the port is the world’s largest integrated complex of warehouses. Here, guests to Hamburg find an idyllic scenery of redbrick Gothic architecture from the Wilhelmine era with bizarre little gables and towers. Valuable goods are stored at controlled temperatures behind their massive walls: coffee, tea, cocoa, spices, tobacco – and the world’s largest stock of Oriental carpets. Since 2015 the Speicherstadt, the Chilehaus and the Kontorhausviertel belong to the UNESCO- World Heritage Site. Sunday morning – five am. Most people are usually still sleeping at this time. Not in Hamburg. In Hamburg’s fish market down by the Elbe, there are around 70 000 people either already working or still out and about at this early hour. 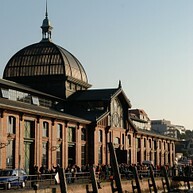 The fish market is Hamburg's probably most traditional market. Since 1703 people trade here with a variety of things - from junk on clothes and huge plants and even the fresh fish. Here night owls from the Reeperbahn and market friends meet once a week to end up the night or begin the morning with live music in the fish auction hall. When the Old Elbe Tunnel, also called "St. Pauli Elbe Tunnel", was opened in 1911, it was a technical sensation. Today, it is a nostalgic and lovingly tended piece of Hamburg history - and has already celebrated its 100th anniversary. The distinctive, square, domed structure on the St. Pauli Landungsbrücken houses the machinery and the four large lift cages, which have been transporting people and vehicles at a depth of nearly 24 metres since 1911. After 426.5 metres beneath the Elbe and through two tiled tunnels with a diameter of 6 metres, you return to daylight in Steinwerder and can enjoy a wonderful view over the harbour. As a highlight the tunnel is lighten up in blue during the Hamburg Cruise Days like the port is as well. Miniatur Wunderland is the world´s largest model railway museum and Germany´s most popular tourist attraction. It displays sections, showing authentic environment from different countries - Sweden and Norway to the pyramids of Egypt and Las Vegas in U.S. Visitors can even experience day and night – and all this every 15 minutes. You can also take a guided tour that shows Wunderland behind-the-scenes.